Will the 'sugar tax' really counter obesity in Cornwall? Will the ‘sugar tax’ really counter obesity in Cornwall? Falmouth residents have given a mixed reaction to the government’s introduction of a ‘sugar tax’ on drinks with one resident describing it as a “step in the right direction” and another arguing that “it will make no difference”. As of the 6th of April, drinks producers have been required to pay a levy on high-sugar drinks in a government move to counter increasing rates of obesity and which aims to raise £240m a year according to the Treasury. According to Cornwall Council, 68.4% of adults were either overweight or obese within the county in 2015/16, 5.4% above the national average according to Parliament. Reactions in Falmouth were mixed with potential consequences for both consumers and business owners. “It’s added on about £10 for a box a coke for the set-up,“ said Mark White, owner of the Pennycomequick pub on Falmouth Moor. The ‘sugar tax’ has led to re-formulation of popular fizzy drinks such as Irn-Bru, Fanta and 7UP to reduce sugar levels below the 5g/100ml limit at which the levy is incurred. Many supermarkets such as Tesco, Sainsbury’s and Morrisons have also reduced the amount of sugar in their own-brand drinks to below the 5g/100ml limit. 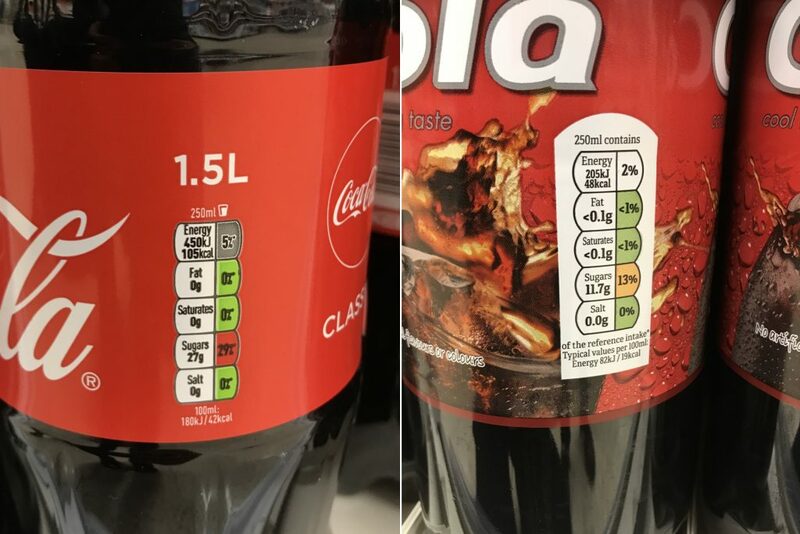 Tesco have significantly reduced the sugar content of their own brand Cola compared to Coca-Cola Classic. It has also resulted in price increases being passed on to consumers on drinks such as Pepsi while original Coca-Cola retains its original recipe and price, instead opting to downsize bottles. Over the last year, the majority of supermarkets have followed suit by replacing sugar in their soft drinks with artificial sweeteners and steviol glycosides to avoid the levy although one resident described such alternatives as “just as bad”.